A stunningly high proportion of this week’s batch of eggs so far have been double yolkers. In fact all four of my breakfast eggs this morning had two yolks, and so did one of Robin’s two. Robin has been rather hard done by. For some reason I seem to have ended up with most of the double yolkers. 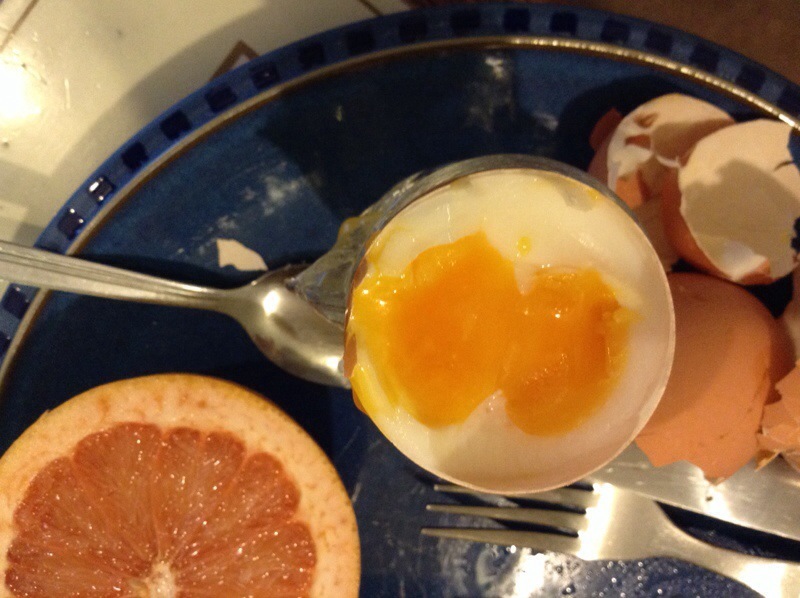 To be fair, though, the yolks are smaller when there are two of them.